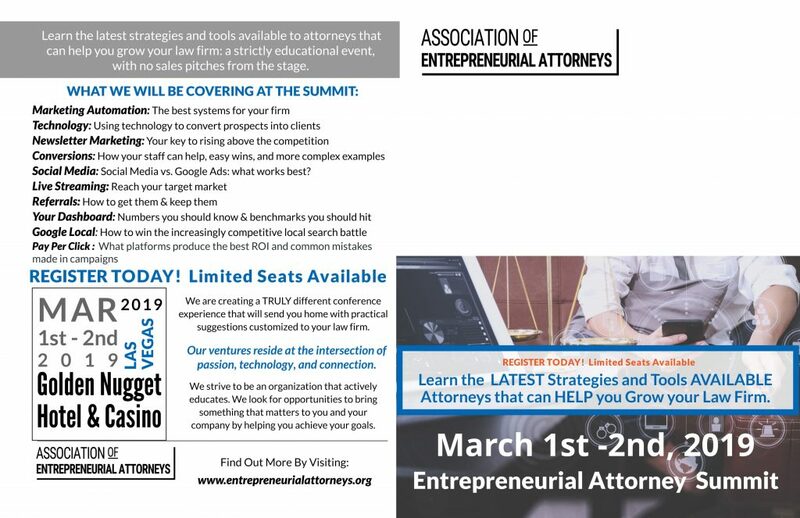 The Entrepreneurial Attorney Summit is set to take place in Las Vegas on March 1st and 2nd. 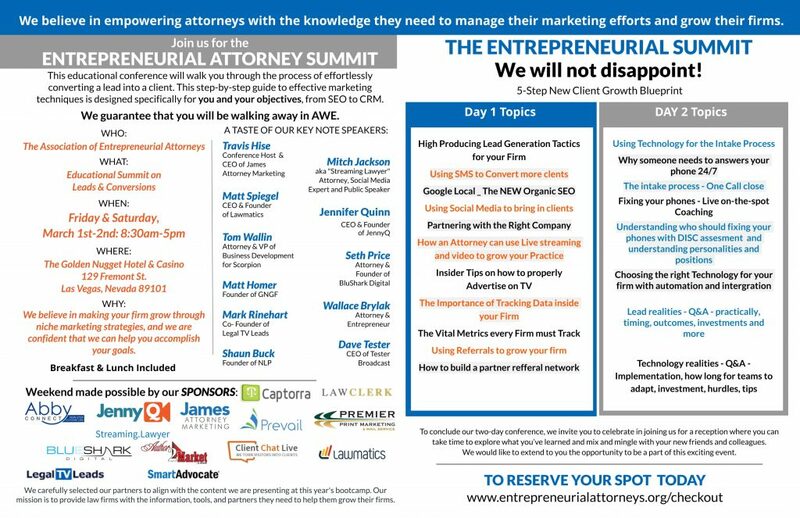 This is a group for attorneys who want to improve their firm’s marketing and is supported by some of the best people in the attorney marketing world. Due to our involvement, AEA is providing Premier Print Marketing clients with FREE tickets! There is no limit to the number of free tickets available. Simply provide the code “PremierGift” when signing up. Click here to reserve your spot.